The text and photographs used in this article are owned by the core team consisting of the author along with Mr. Debendra Pattanayak and Mr. Arjun Samantaray. You may not reuse or republish any content without due permission. Enamoured by what I had heard of Prahallada Nataka, I decided to audio-visually document an entire performance. From regional narratives, we know that the full text of the play used to be performed over 7 days and 7 nights. Later it was compressed to 24 hours. Now, all that exists is a mere 12 hours of the original week-long performance. With this, a major chunk of what used to form the play has unfortunately been lost. Acquainted with the 12-hour routine, not many of the existing troupes possess the ability to stage a week-long or even 24-hour performance, for they have never seen or done it in their lives. For those that do, there is lack of sufficient funding for such a huge undertaking. Fearing what exists now might also be lost to oblivion in a matter of another few decades, I tweeted and asked the wonderful Odia Twitter community if they would be willing to financially assist this project. Most people were unaware of what Prahallada Nataka was in the first place. Extracting a small selection from a 1994 recording at the National Cultural Audiovisual Archives helped educate those who were unaware of the existence of the form. Soon, about 30 people had agreed to help me. Within 1-2 weeks, we had a starting fund to undertake the project. 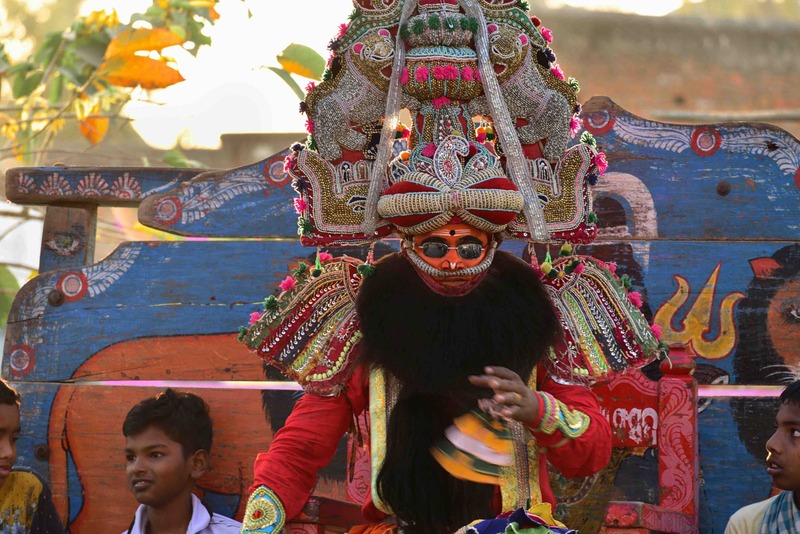 The plan was to completely record a 12-hour performance in an actual village setting on 1st March 2018, the day of Dola Purnima, a festival when Prahallada Nataka is ritually staged. Days before, we came to know of another performance just two days ago in a place not too far from our original site and three of us agreed to start immediately that night. Hence, we got not 12 but 24 hours of multicam footage (~1TB). This footage shall be edited, subtitled and put online with sufficient research material to make it as understandable as possible. We plan to release it in 1-hour chunks releasing a video each month. As I stated before, three of us left overnight in a snap-decision to get double the footage than we had planned. None of us knew each other too well. We had met only this one time to split duties and discuss what equipment we had. Talk about now – we now each other much better. Our style of working has gotten such that coordination is effortless and our individual outputs are complementary. Together, we have now done multiple documentation tasks. It is time you get to know the two other wonderful people without whom all this would’ve been impossible. 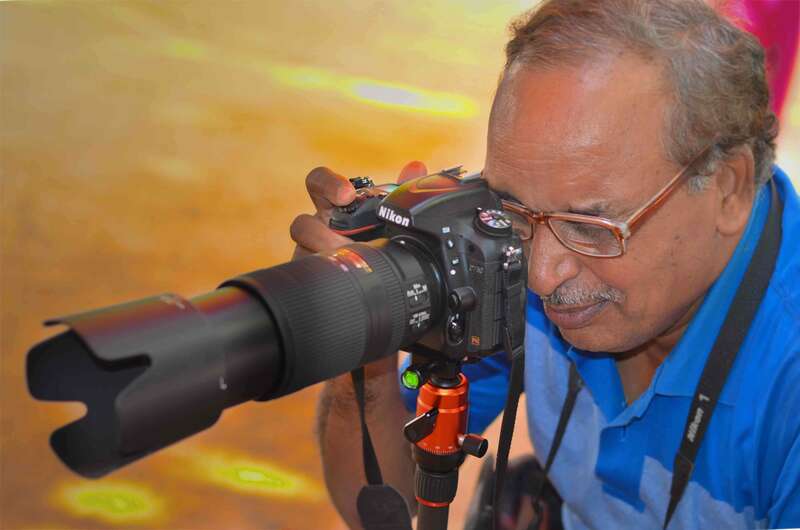 I got introduced to Debendra Pattanayak sir when someone told me that he was a wildlife photographer. I found him on Twitter @dkpattanayak, although I somehow hadn’t seen his handle despite being active on Twitter for years. Next I stumbled upon his work on Instagram and discovered his enviable hoard of photographs of butterflies, birds and flowers there. This was professional-level and I was all the more glad that we would have an expert with us. Debendra sir turned out to be generally interested in the idea of culture, history, temples, sculpture, literature and music – as I was, and I found that he had hundreds of books. His photography expertise helped us in the challenging shoot conditions involved. We now read and research together for anything we plan to do. Debendra Pattanayak captures a shot. 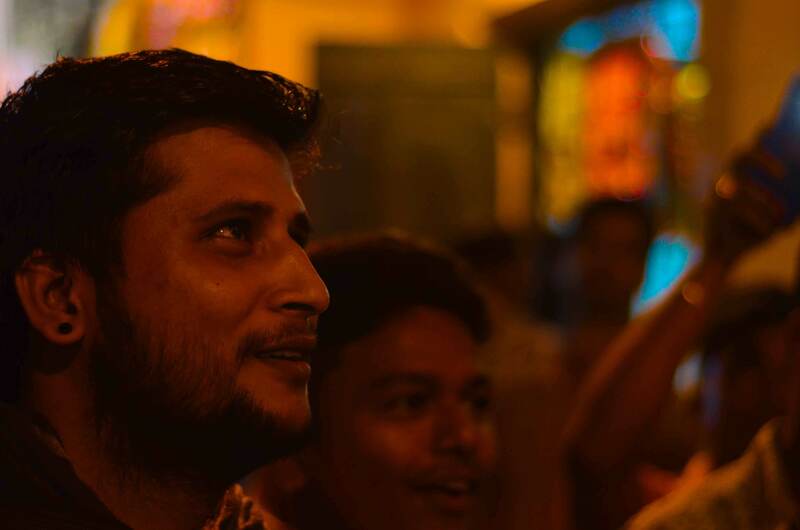 The other person in our team is Arjun Samantaray, a professional theatre artist with his fair share of eccentricity (much like each one of us, anyway). He messaged me one day on Facebook saying that he appreciated my work and would like to be in touch. Soon we became friends on Facebook and he would post regularly about a play called ‘Ichha’. I found that he would go to schools within the hinterlands of Odisha and single-handedly perform his brainchild-play with a gamuchaas his only prop. All these performances were for free; he wanted nothing in return. The objective? From what I could understand in my limited comprehension, he wanted the future generation to be aware of what theatre and acting can mean. He wanted to fill them with ideas and make them think. 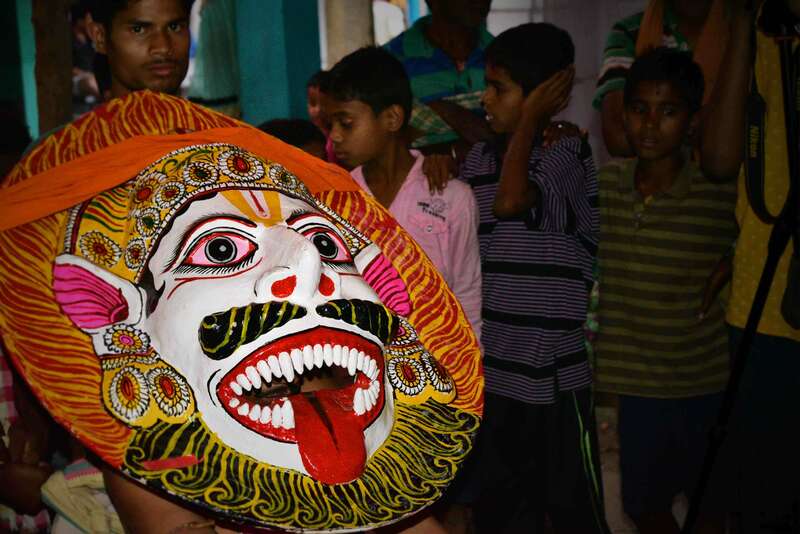 He wanted them to think of theatre in a much different light than the jatra they would get to see, perhaps their only exposure to theatre within the remote villages they lived in. I found him fascinating and wanted to know why he wasn’t chasing money or attention like the others. I lured him into this plan by piquing his interest in theatre; he could observe and analyse Prahallada Nataka purely as a form of theatre. On the night of the bus journey to Digapahandi, I asked why he did what he did. Arjun Bhai (as I call him) told me about his journey and what he does. He told me about his play Ichha, which told the story of a girl. He narrated this wonderful plot while enacting tidbits and I was captivated by the ingenuity in his storytelling. Even in the dark blue LEDs of the shaky bus the passion in his eyes was clearly visible. At 3 AM the bus journey had ended but our conversation hadn’t. I usually do not make such requests, but please do go and follow this man on Facebook and Twitter, and if you are lucky enough to find him performing somewhere in your vicinity, please go and watch a show. Our attention is often misplaced, and in my opinion, more people need to know that such good work exists. He deserves every bit of your attention in my opinion. Arjun Samantaray looks at Hiranyakasyapa of Prahallada Nataka in awe. During the research phase, I searched for experts on Prahallada Nataka on the Internet. 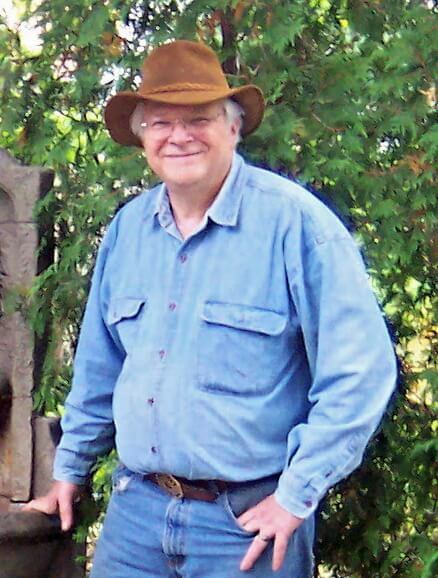 From Wikipedia, I came to know about Professor John Emigh, Professor Emeritus from the Departments of Theatre, Speech and Dance and of English at Brown University, Providence, Rhode Island. Professor Emigh, along with Dhiren Dash had conducted extensive research and documentation of Prahallada Nataka way back from the 70s to the 90s. Somehow I got his email address and sent an email in hope of receiving some of his guidance for the project. Within 12 hours I received Professor Emigh’s reply. I had tried contacting multiple researchers before him, many of whom were in the same city that I was, but Professor Emigh was the only one who helped the project. He sent me four of his research papers, including a half-complete English translation of the text in the first reply message, and the papers taught me many priceless details. Since then, sir has been continuously guiding various stages of the project, from the conception till the execution. After some conversations, Professor Emigh told me about 15 hours of footage of Prahallada Nataka that he had recorded during performances from 1982-83 and 1994. When I requested if it would be possible to send it over to me, he painstakingly converted the archival footage from older storage mediums to a set of 13 DVDs. This package he sent over to my address in India. However, after a delay of more than two months, the customs office declined to deliver it to me; they needed KYC details (which, by the way, I had already filed long ago). However, the KYC details were kept pending for verification for a couple of weeks and the cost for this delay was supposed to be charged from our funds as demurrage. This increased the expenditure by almost INR 10000, very hard to bear for a crowdfunded project. Fortunately, after many attempts, the package successfully got cleared by the intervention of Dr. Arabinda Kumar Padhee, Dr. Debi Prasad Dash and Mr. Lalatendu Samal. Three months later I finally had the rare footage in my hands. This footage shall be used as needed. Early morning the next day, we set out for Digapahandi without even an hour of proper sleep. We had to travel more than 30 kilometres in an auto. That road, I remember, had a dozen humps every few metres. Fortunately the steamy Ganjami breakfast that morning gave us enough energy to handle that, and when we reached there the Nataka had already started. We were half an hour late and rushed with all our suitcases of equipment into the temple room inside which the artistes were getting their makeup done. In a frenzied mess, I set up the audio equipment while Debendra sir took a test shot of the surroundings; Arjun Bhai meanwhile, took videos in the green room. Within minutes Hiranyakasyapa was ready and we were just in time to record his grand entry. 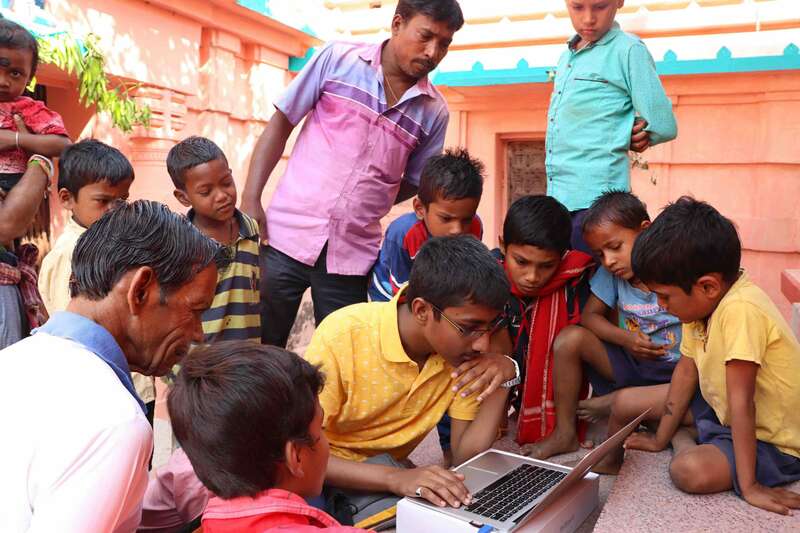 Villagers and children look on as I check footage on my laptop, a device they have seldom seen. About four hours of continuous recording later, the villagers offered us simple Bhata-Dalama lunch in the nearby village school. Immediately afterwards we continued recording for another eight hours straight. It had to end at 5 PM, exactly 12 hours later but the artistes decided to make it an extra-special performance because we were shooting it and that extended the duration for more than 2.5 hours. We returned back to Berhampur that night after a talk with Mr. A. Rajendra Patro who had wonderfully essayed the role of Hiranyakasyapa. The man literally had it in his blood. Dancing vigorously in gymnastic steps, rendering heavily ornate dialogues, singing high-pitched songs all while maintaining the splendour of a king and the grace of a husband; to call that simply ‘hard’ would be an understatement. So natural it had become to him that if you asked him to do absolutely nothing and stand still, he’d still do it like a king. After a day, we went to Baghela near Tara Tarini where we would record the second 12-hour performance. On my request, Tanaya Patnaik, executive director of the Sambad group gracefully lent a helping hand to this crowdfunded project by sending a crew of professional cameramen to assist us in the shoot. This was a huge relief for us, for they sorted out the issue of lights and sound for us. We now had more than 8 cameras, which is a huge thing considering this project was started with just one camera, that too not my own. This made the Sambad group the only organisation which had lent us any support at all. The only camera I had wasSubhashish Panigrahi‘s equipment. An open internet steward, language archivist and the person who introduced me to the Odia Wikipedia, his role has been instrumental in getting me to this point. A few years ago he created the O Foundation in which I was also a founding member. The camera he had temporarily given to me for a brainchild of his, a National Geographic-funded project called OpenSpeaks, where I had to document a few endangered languages. He allowed me to use it for this project without a single word, and besides that, I had his constant guidance on matters of videography, production and other aspects throughout what would be a first experience for me. On matters of culture, music and many other practical aspects of this work, I had invaluable inputs from both Mr. Shyamanuja Das and Mr. Manoj Tripathy.Mr. Bikash Mohanty gracefully lended me his camera as a backup for the following three days of shoot. Twitter is a wonderful place indeed, for nowhere else would I have found so many interested individuals who were willing to actively participate. 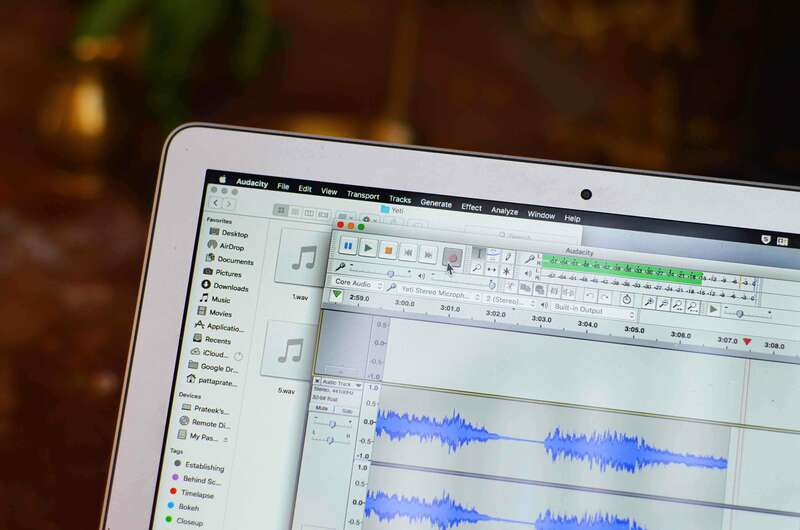 Audio gets recorded on a computer during the shoot. In the second shoot, we were joined by the talented Abinash Padhan, whose incredibly cinematic shots added new value to the project. Meanwhile, as the professional crew handled a few backup shots, we interviewed the performers. Particularly notable was Arjun Bhai’s wonderful interview of the 8-year old Prahallada who performed that night. You see him in the beginning and the post-credit sequence of the present trailer. Mr. Santosh Satpathy, director of the troupe who also played the ‘Lilabati‘ character coordinated with us in multiple ways to facilitate a smooth shoot. What surprised us was that the man who played Hiranyakasyapa would be the one we had already met; Mr. ‘Raji’ Patro. The performance ended at 2 AM in the night with Nrusingha emerging. We returned back immediately. It was 1000 GB and 24 hours of multicam footage when I copied the files. Almost six months after the initial planning started, we released the trailer. We’re happy to say that the response was extraordinary and we hope we can continue our work for other folk arts like this one. At the end, I express my gratitude to the Odia Twitter Community for crowdfunding this dream project of mine. 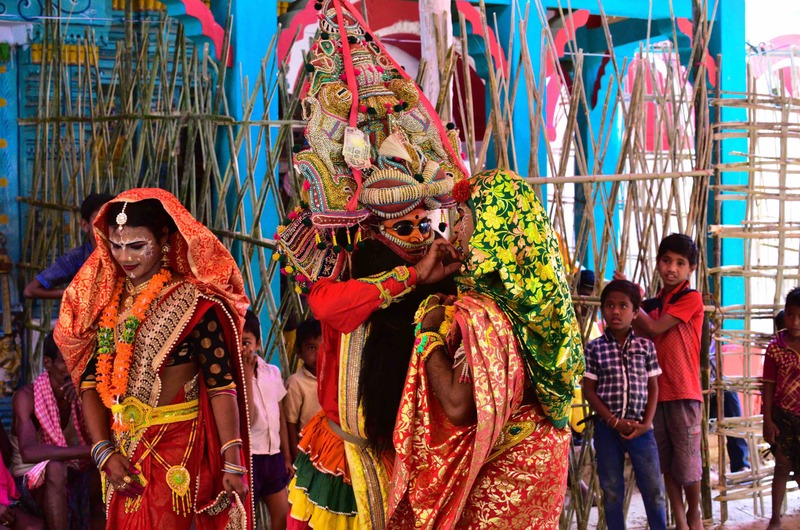 Here is the entire list of all the contributors (in no specific order) whose generous contributions helped accomplished a first-of-its-kind massive undertaking for preserving Odisha’s endangered traditions. Nrusingha emerges at the end of the play.